Welcome to Qismat Yinus' Blog: 9ice & ID Cabasa Are Back Together!!! 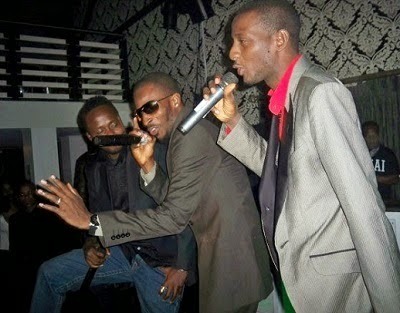 Gongo Aso crooner, 9ice and his former producer ID Cabasa are back together after many years of separation. The duo who went their separate ways after they had a big argument over money are back together and are currently working on new songs in the studio. I'm so happy about this!